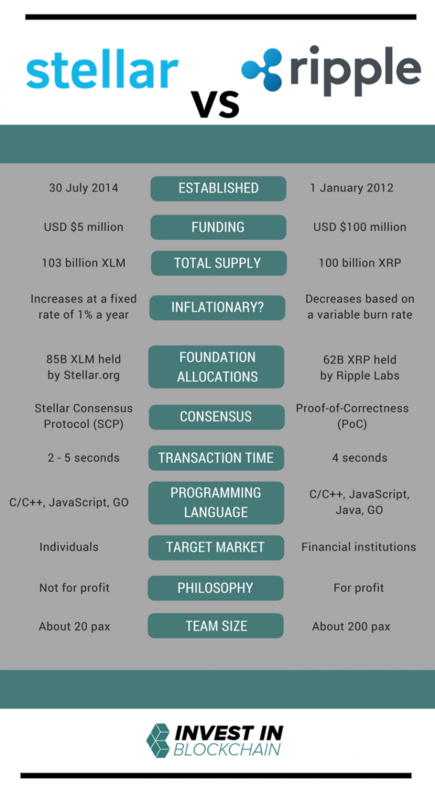 If you glance at Stellar Lumens (XLM) and think that it seems similar to Ripple (XRP), you’d be right. Both are founded by the same person (Jed McCaleb) and appear to have somewhat similar technical functionalities. Both operate underlying payment processing solutions with native assets. But if you focus the microscope, you’ll find far more differences than similarities. 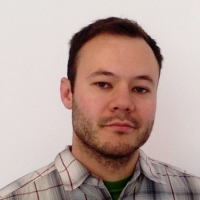 Stellar, XLM and the Stellar Development Foundation came about in 2014 after McCaleb left Ripple to work on Stellar full time. Though some people think that Stellar is in fact a fork of Ripple, this is not the case as they are “completely different codes“. This split led to the creation of a new and philosophically distinct entity that has numerous differences from Ripple. Stellar claims to have fixed some of Ripple’s existing problems (Ripple disputes this), but ultimately the riff seems to be about overall vision as much as anything. Viewed at the macro level, Ripple has made some serious inroads into banking and Stellar has some great value propositions as well. But it’s a bit unclear exactly what the differences between the two are. 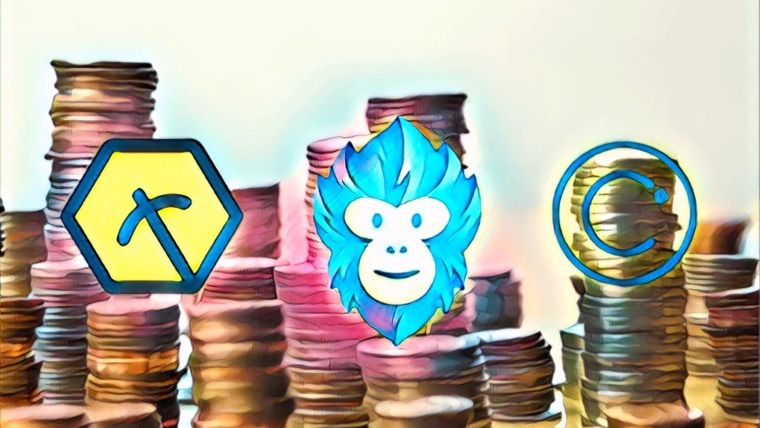 In the following article, we’ll clearly outline these differences and provide a bit of context to help you understand these two cryptocurrencies. Currently, Stellar has live payments set up to the Philippines (from Europe). There are efforts in motion to set up routes into a few African countries and many more plans in the works. The system on which XLM runs is completely open-source and may be redistributed or modified by anyone. Having been around for four years, XRP has built up a good deal of momentum and already has over 100 banks on their roster, including big names like Bank of America, RBC, Standard Chartered and UBS. Ripple’s vision is to have all banks handle settlements on their network. The XRP system also happens to be completely closed-source, meaning the general public cannot look at it or change it. Initially after the split, Ripple and Stellar shared a good deal of code. The originally Stellar code is called “Stellard” and is still in existence, but it is not used by the XLM network anymore. About a year into its journey, the SDF launched an entirely new payment system protocol called “Stellar Core”. Stellar Core introduced a new spin on consensus algorithms with the Stellar Consensus Protocol (SCP). For those interested in a more technical explanation of the SCP, click here. Stellar Core is quite different from Stellard (and by extension Ripple); today the two share very little of the same code. On the other hand, the Ripple protocol uses a “Proof-of-Correctness” consensus mechanism. The PoC consensus algorithm is “applied every few seconds by all nodes, in order to maintain the correctness and agreement of the network”. Once consensus is reached, the current ledger is considered “closed” and becomes the last-closed ledger. This model is not that different from Bitcoin as it relies on majority validation. For a more in-depth technical explanation of Ripple’s PoC mechanism, click here. There are quite a few other technical differences and an excellent summary was published on the Bitcoin Stack Exchange. The XLM token is inflationary, with 1% new coins being created every year and all fees being recycled. On the other hand, XRP destroys fees, meaning the total number in circulation is getting smaller with time. Stellar uses the Ed25519 signature scheme and 32-byte public keys as addresses; meanwhile, Ripple uses the ECDSA signature scheme and 20-byte hashes as addresses. In terms of implementation, Stellar’s protocol is specified using the Sun XDR standard data serialization format; Ripple uses a mixture of Google protobufs and hand-written marshaling code. Lastly, (and perhaps most importantly) Ripple is considered a more centralized network than Stellar. 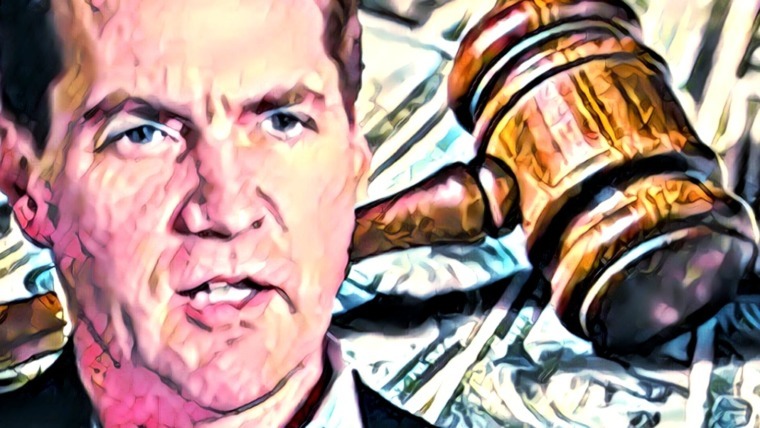 Back in 2015, Ripple faced controversy when the funds of departed founder McCaleb were frozen. The incident revealed that Ripple has a degree of control over what happens on their network, potentially making them gatekeepers of sorts. If true, this runs against one of the fundamental ideas behind blockchain. Of course, the company was quick to defend itself. CEO Brad Garlinghouse recently took to Quora to set the record straight: “Ripple is not centralized. To be clear, if Ripple disappeared today XRP would continue to function. To me, that’s the most important measure of whether something is decentralized.” The company also released this statement in October 2017 discussing their decentralization strategy. Stellar, on the other hand, does not face the same controversy or level of scrutiny when it comes to decentralization. But it’s almost always possible to level some type of centralization argument. For example, Ethereum has one developer who can decide to reverse transactions (DAO) or change anything else on the network and everyone will follow. Bitcoin has a concentrated group of people who control the mining power, which is some form of centralization. The SDF does control the lion share of Lumens which could theoretically give them some centralized power. But taken at face value, Stellar seems to have far fewer question marks in this sense than Ripple. Another stark difference between the two companies is the culture in which they operate. Ripple has raised close to $100 million in funding, which has been invested in a team of almost 200 people including some fintech heavy hitters and known executives. In comparison, Stellar has raised far less money and has a small team of around 20 people (albeit a relative all-star team). Stellar has flown under the radar to some extent and hasn’t had much of a marketing push behind them. Conversely, Ripple has used part of their capital to create publicity and make Ripple a household name. Overall, Stellar seems to have a much more welcoming attitude toward 3rd party developers. They’ve hosted events such as the Stellar Build Challenge to promote development on the Stellar network. In keeping with their altruistic ethos, they also released a program that offers partners up to $2 million in XLM grants.The reason for this is pretty obvious when you compare the stated intentions of each business model. Their go-to-market strategy also shows a clear demarcation between the two. Stellar wants to target individuals as the user base, whereas Ripple wants to target financial institutions. The approach such different goals demand is bound to create different operational cultures. Stellar announced a partnership with IBM in October 2017 and turned a lot of heads in the process. This deal is part of the Hyperledger Fabric Project and under the agreement, a network of banks will conduct transactions using Lumens, and then rely on local market makers to convert the Lumens into local fiat currency. This will be available in 12 “currency corridors” (Asia/Australia/NZ) and marks a big step forward for Stellar. Ripple is also making moves. 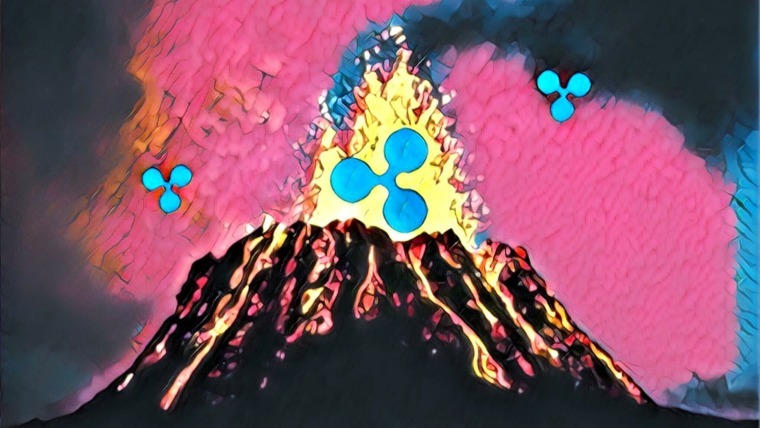 According to CNBC one of Ripple’s new corporate customers, Mexican non-bank financial services firm Cuallix, will be the first institution to trial Ripple’s cryptocurrency. Also, in November 2017, Ripple partnered with credit card processing giant American Express to create a transatlantic payment channel between the U.S. and the U.K. This is all definite progress, but there is also a good deal of debate around whether banks will actually want to use the XRP token (and if not, what that means). As the time of writing, the market cap of Ripple sits around $135 billion, while Stellar Lumens is reaching $14 billion. All of the differences we’ve discussed here have contributed to this gap. In the end analysis, Stellar and Ripple are not direct competitors. Despite the somewhat contentious nature of their relationship, they serve different markets and feature different technology. 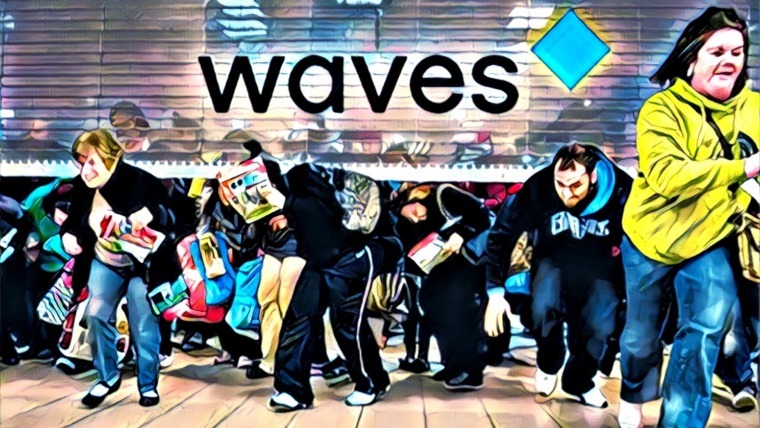 If you consider the use-cases — Ripple working on profit-generating, payment processing solutions for banks and corporations, and Stellars’ aim of promoting non-profit distribution of wealth internationally — the market cap discrepancy kind of makes sense. Given their differences, Stellar and Ripple can coexist — this isn’t a winner-take-all scenario. But whether either will truly land among the lunar dust, that’s going to take more time and a lot more work. 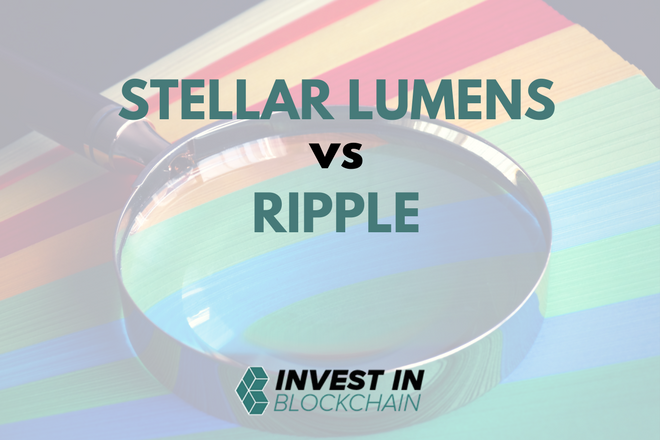 Share this handy Stellar Lumens vs Ripple comparison guide! Thanks for noticing the typo, will be fixed shortly. ‘million’ needs to be corrected to ‘billions’ under ‘Total Supply” in the chart. XRP gets burned after its use which decreases its available numbers. How come that becomes inflationary? The burn rate actually increments the value of existing XRP token. In long run XRP value goes up. The biggest concern is not many of the Ripple clients going to use the XRP token. Ripple should somehow incentives the platform user for using the XRP token. Is my above statement makes any sense? Great Article really helps me to find out different b/w Ripple and Stellar. Awsome article. Stellar is one of my fave coins for its vision to help the poor of the world. Very helpful to outline product differences and highlight the need for multiple solutions to serve various audiences.